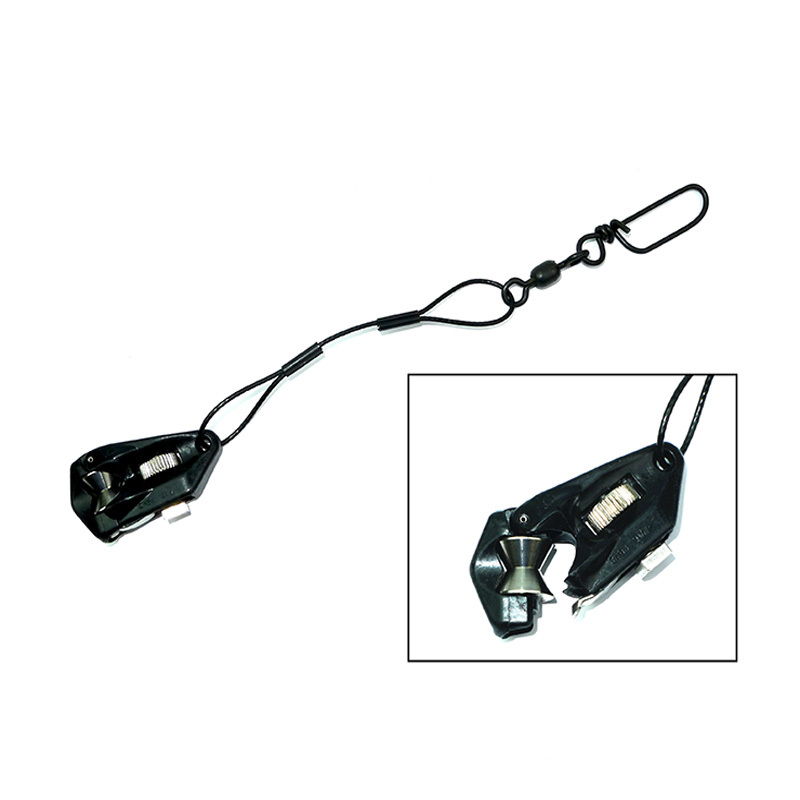 The AFTCO flat line clip, with a 135lbs coated stainless steel cable and heavy duty snap-link swivel attached, can be rigged from the stern of the boat to put trolling lines into the water at a lower angle, minimising tangles with multiple lines, and keeping lures running below the surface for better action. 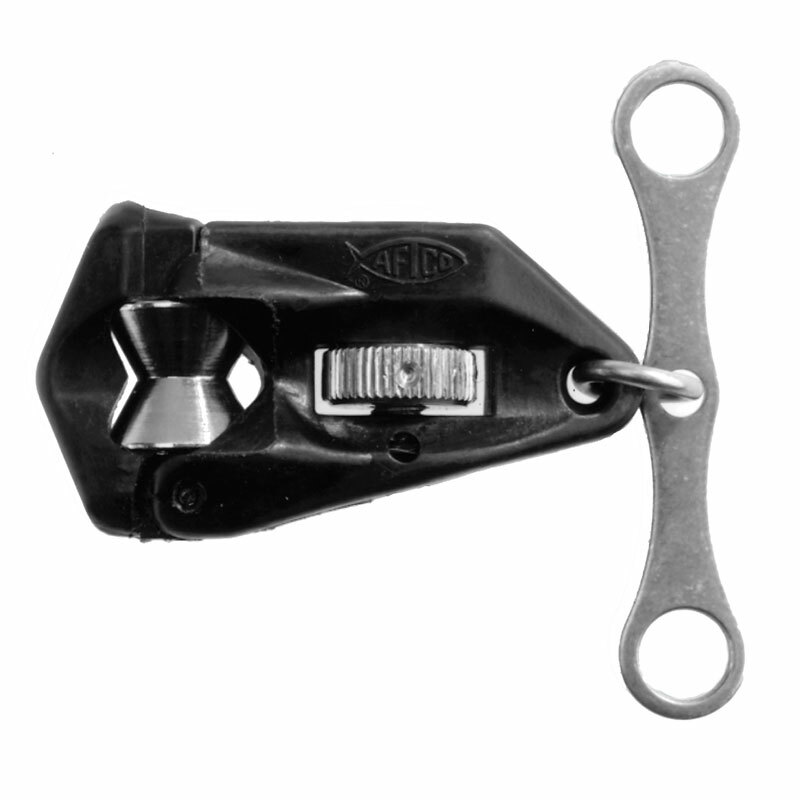 Once the clips tension is set, the clip releases at exactly the same tension every time. 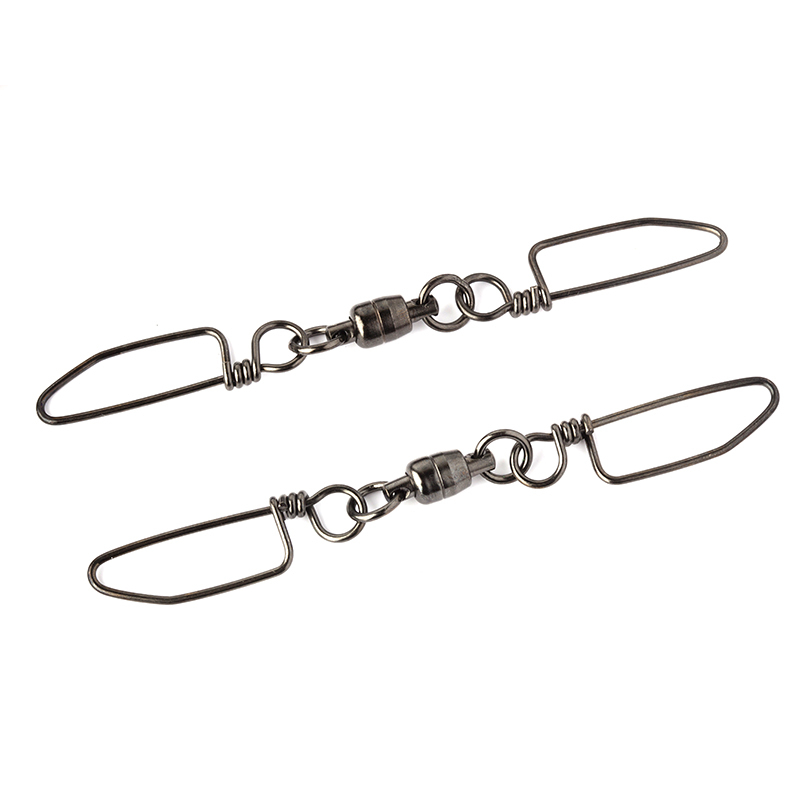 Lines run smoothly over the polished stainless steel roller, eliminating friction and fraying.